Join A Small Group Now! There is probably a group close to you! 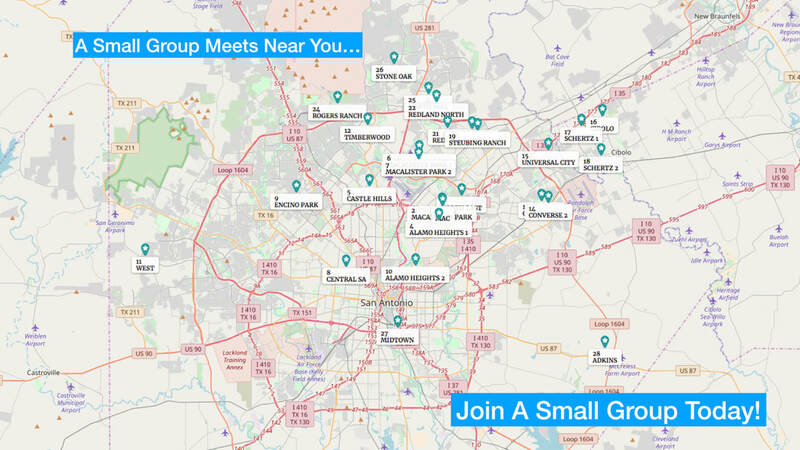 Twenty-eight small groups are now meeting across the greater San Antonio area. Find one to connect with. Contact us! Group Meeting times may change. Please contact us so we can find out which Small Group you would like to attend and what time works best for you. These are regular scheduled meeting times, but they may vary week to week. Currently all our Small Groups are meeting on Sundays.